Alex just finished taking care of our plumbing 'project'. He did an excellent job. Very pleased with every aspect of his work, a real professional. Give him a pat on the back for a job well done & maybe buy him a beer... 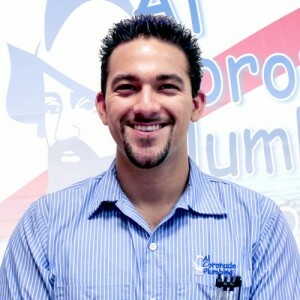 I will use Al Coronado in the near future to repair the source of our plumbing situation. Brandon of Al Coronado Plumbing did a great job! I would recommend this company to anybody that needs a plumber. Brandon drained our hot water heater and replaced the anode rod and also replaced some worn down input valves under our sink. He took the time to explain why he did what he did and also showed us the eaten up anode rod! Marty was extremely helpful and honest repairing our leaking toilet. He also explained things very well, educating me on ways my current plumbing system could be improved. Tyson was personable and efficient. Knew what he had to do to correct the problem and went about doing so. We're very satisfied and would have him back. 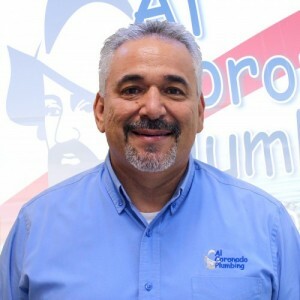 We recently had two plumbing jobs done with Al Coronado Plumbing. These jobs were done by Xavier and Charli. Both were excellent and knew their jobs well. They kept us informed what needed to be done and the time frame for completion. They were friendly, on time and well informed. Jobs well done. Alex was knowledgeable and patient. He got the job done with a number of challenges as I have an older home. Clean up was perfect. I am very happy with the results. Nicely done, Alex. Brandon P. provided a complete service which was great in every detail. Especially appreciated was his working until 7 p,m. to finish the tankless water-heater installation, since we had been without hot water for five days. Alex showed up on a timely manner. He evaluated my problem and gave me 3 options to fix the problem. We started with the cheapest option. He Fixed all of my plumbing problems without any issues. 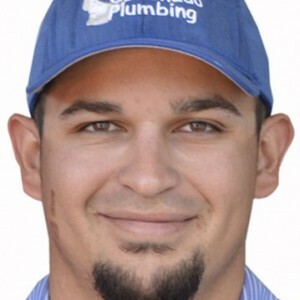 I would highly recommend Alex and Al Coronado Plumbing to anybody with a Plumbing problem. I called them at 2 pm and he showed up at 4 pm the same day to fix my Plumbing emergency 5 stars isn’t enough for them! Thanks guys!! I had two leaky toilets fixed. Jim W. was quick, efficient, and provided honest information. Al Coronado is pricey, but it was worth the quick service and peace of mind. After calling 10 solar and plumbing companies in Tucson I finally found someone who was able to diagnose and fix my solar water heater. Brandon P. was honest with me and walked me through what needed to be fixed. He was not only knowledgable but efficient and I now have hot water again. I will definitely call them again for any other plumbing needs. Thank you. That tyson did a GREAT job. showed us how to used it and spend the whole day to fix it. Marty help with my finesse which was good. He was reely good. We used Coronado to clean out our sewer pipe and install a reverse osmosis tap for our kitchen sink. They did a great job. I called our regular plumber and he could not come out for a week but these guys came same day and cleaned out our sewer pipe right away. Joe our plumber gave us an estimate for the RO tap and they came two days latter and installed the tap. Yeah, they're not cheap, but plumbing always costs. However, there speed and good customer service works for us. 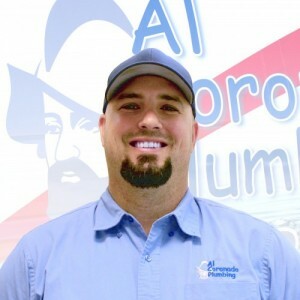 We could not be happier with Al Coronado Plumbing. Marty O, our service pro was truly a pro. He solved a problem another plumber could not and did a great job. He explained what he needed to do and what it would cost. I certainly would call Al Coronado again. I had a problem with a leak in the garage and old faucets in the bathroom that wouldn't turn off - so I called Al Coronado Plumbing for help. Marty Oros and Brad did the work. They called when they were on the way. It was a big job and I ended up needing a new hot water heater. I had a Kenmore that was replaced after another Kenmore failed and was still under warranty. The new one was only a year and a half old and I decided not to mess around with yet a third one. It took a lot of work as the pipes are PVC and are about 42 years old and and difficult to work with but everything looks great now and I love my new faucets and hot water heater. Thanks guys! Joe did excellent work. Arrived on time, worked efficiently. Very pleasant and knowledgeable. Marty O has a 5-Star rating and leads the company in total reviews, making this pro a ReviewBuzz Rockstar! Marty was extremely helpful. I explained the multiple things I needed changed and he went out of his way to help get The plumbing up and running, and also make sure it fit in my drawers and cabinets. It's challenging in a 100 year old house, but he made everything work out. He also remembered me from a year ago when he helped out with a different remodel. He noticed the different renovations I had made since he had been here. Marty was very professional and knowledgeable about my problem. 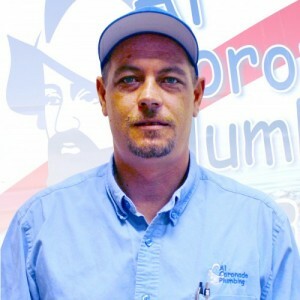 He was very compassionate with what I was going through with my plumbing issues and was very helpful! 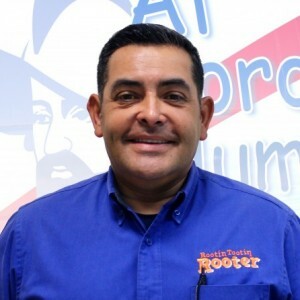 I will definitely recommend Al Coronado and Marty Oroz to friends, and family! Thank you, Marty!